I love to shop, but then you probably already know that if you know me or follow my blog! 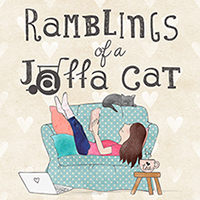 Whether it’s for clothes, accessories, home ware or even just food: I just love browsing the shelves and popping things in my basket, then coming home and looking through the things I’ve chosen. 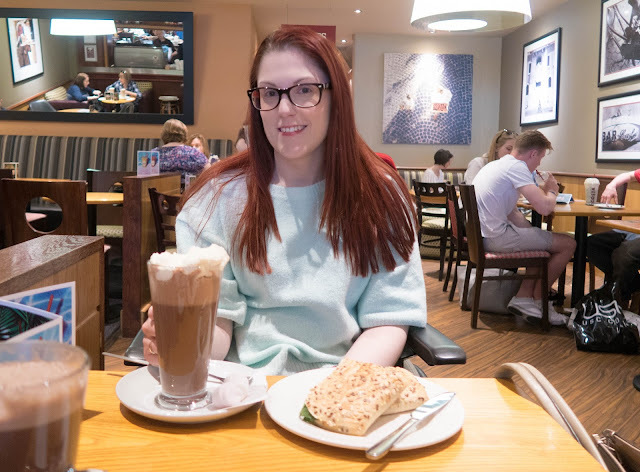 As my health has got worse over the years though, I’ve had to cut back on my outings to the high street and turn more towards the online world. With limited energy and frustrations with disabled access in some shops, trips to the high street aren’t as fun as they used to be. It’s great that there’s so much available online these days, but I don’t think you can beat actually going out into town for a shopping trip. Being able to pick up products, see the quality of garments and just get lost in your own little world while you browse the rails – it’s something I have always looked forward to, and despite the difficulties, I do still look forward to it now. So when Quidco got in touch with me about their new ‘High Street Happy’ campaign, I knew it was something I wanted to get involved with. I’ve been using Quidco for a few years now, but always assumed it was purely an online thing. But I was wrong! Quidco High Street is a cashback scheme, which allows you to earn money back on your shopping in more than 5300 retailers nationwide, with over 40 different brands. If you don’t have a Quidco account already, head over to the Quidco website (here), click ‘Join Quidco now’ and follow the instructions. Through this link, you can also earn £10 bonus cash back! Once you’ve signed up, all you need to do is register your card on the website, then when you shop at one of their retailers, Quidco tracks your purchase and pays you cashback as a percentage of your purchase. Once the retailer has confirmed your purchase, the cashback will be deposited into your bank account automatically. From there, you can transfer it to your bank or PayPal account or ask to have it paid as an Amazon gift voucher. There are a huge variety of retailers on the list, from Argos to Debenhams and Mothercare to JD Sports. You can find the full list on the Quidco website. So, what’s the catch? Well, there isn’t one! There are no hidden costs. Quidco makes money from a combination of the fees from Quidco Premium accounts and the commission that retailers pay them for directing traffic to their sites. I’ve found the online version so useful, and often use my cashback to either treat myself to something nice, or save it for Christmas to help me buy presents for friends and family. So I’m really excited that I can now use Quidco on the high street too! As well as sharing this exciting news with you, Quidco asked me to let you know three things that make me high street happy. So, on a recent trip to Basingstoke with my Mum, I took some snaps around the shops of just a few things that I love about the high street. 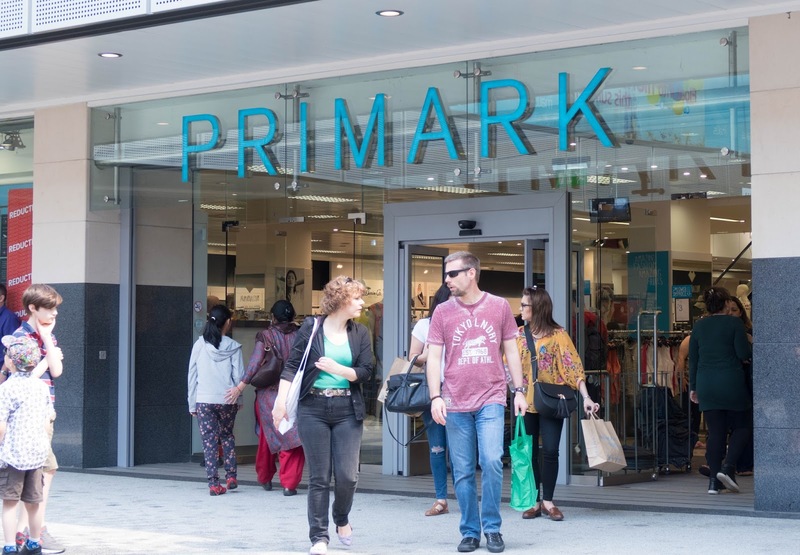 One of my favourite things about going out shopping is visiting Primark, mainly because it’s a bit of a novelty, as you can’t buy their products online. I’m terrible for spending hours watching Primark hauls on YouTube and then wanting to go out and buy everything in store! Plus the store in Basingstoke is nice and spacious, which means it’s one of the easier stores to get a wheelchair around. There’s nothing better than coming home with a big Primark bag full of cute bargains. Another great thing about shopping on the high street is being able to see products in real life, and this is especially true for cosmetics and fragrance. Don’t get me wrong, I’m generally happy to order make-up online, but it’s so much nicer when you can actually hold the product and test it out. I’ve ordered so many things online that haven’t been what I thought they were because I was just judging them by a picture. 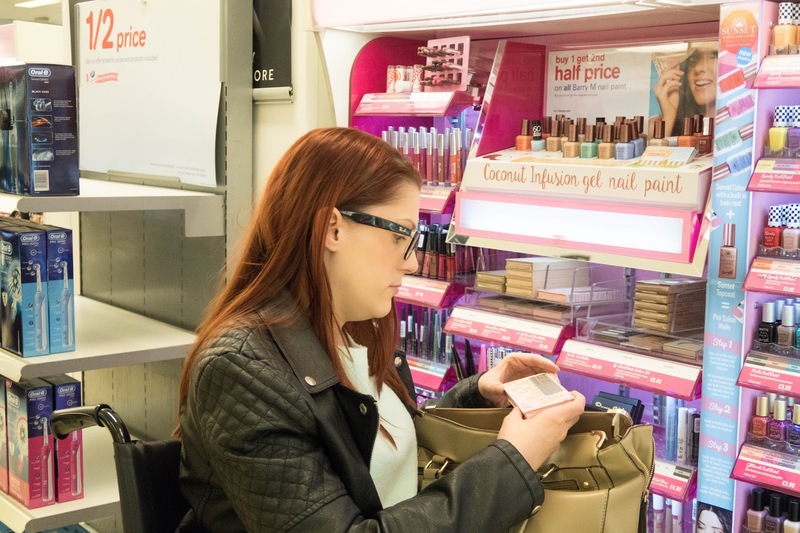 I will often leave Boots or Superdrug with my hands and arms covered in swatches of lipstick, eye shadow, blusher and more! And when it comes to perfumes, I always like to smell something before I invest in it. Although it’s great to pick up bargains and try out products before you buy them, my absolute favourite thing about shopping on the high street is the social aspect. Whether it’s going with friends or family, I love to make a day of it and spend quality time catching up with people I love. I know some people might question how sociable you can be when you’re in a busy high street, but I personally find it a great thing to do with others. One of my favourite people to go shopping with is my Mum, and I look forward to that time together even more now that it’s become more difficult for me. 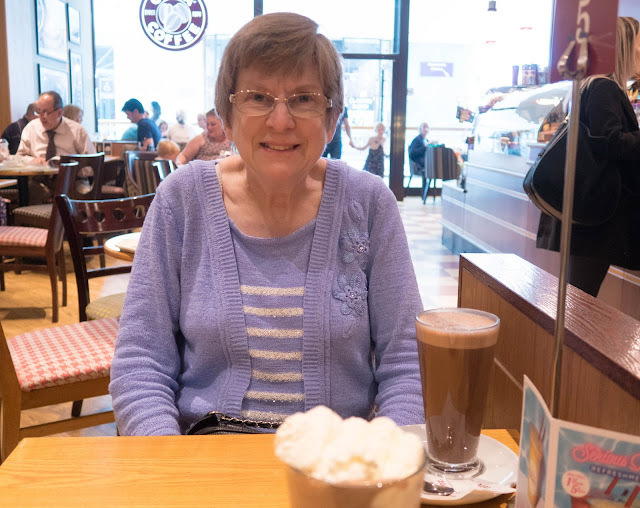 Apart from the practicalities of her helping me around in my wheelchair, I really enjoy our general chitter chatter as we peruse the shops; talking about things we like (and don’t like!) but also talking about more personal things in a relaxed setting. We always try and make time for a coffee or some lunch on our shopping trips – just a little treat and another great thing about the high street. · 25% of respondents said that their best shopping experience was a time on the local high street. With online retail growing rapidly, it’s easy to get everything we want at the click of a button. But I also think it’s important to remember our local high streets, as there will always be some things that the online world can’t give us. I’m definitely guilty of choosing a website over a local store, but with Quidco High Street on my radar and reminding myself of the things that make me high street happy, I will definitely try to make more of my local high street. Do you use Quidco already, or does Quidco High Street sound good to you? I’d love to hear what things make you high street happy! I love Quidco, I've earnt a few hundred with them through things I would have bought anyway - perfect! I've never heard of Quidco until now, but I'm definitely going to check them out - sounds almost too good to be true haha!